Recently Kent Myers contacted the TMIOA with an interesting story. He has in his possession a prototype GL1100 Turbo. 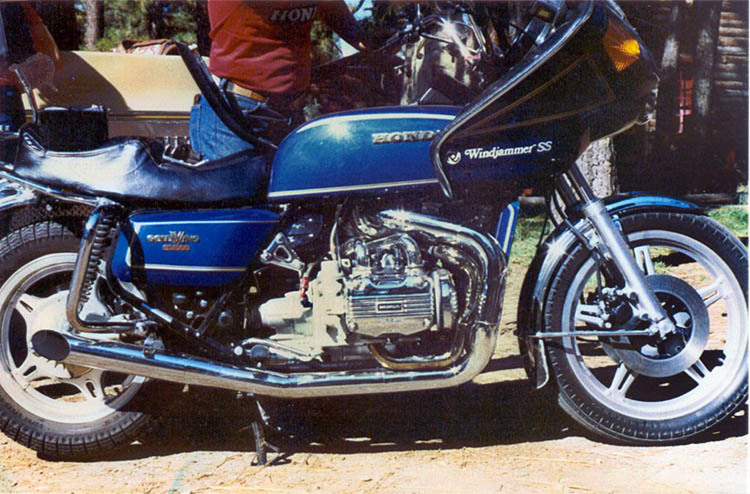 It was built by ATP, American Turbo Pak, in the late 70's for Honda to test the concept of a Turbocharged motorcycle. That project ended with this prototype (but Honda did go on to build their own Turbocharged motorcycle, and we all know what happened with that one). 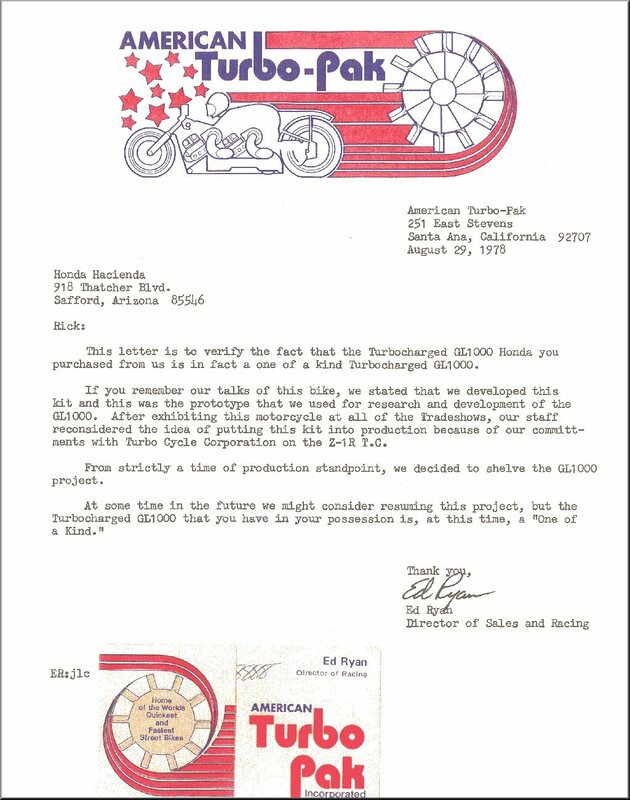 At the time Kent was running a motorcycle business in Arizona and had the opportunity to purchase this very unique motorcycle along with a letter of authenticity. He did run the bike on the street for a time. Completely humiliating anyone who pulled up next to him at a traffic light. Eventually he ended up putting the bike away, where it now sits in storage. He has plans to pull the bike out of storage and at least get us some newer pictures. In the mean time this is what the bike looks like.